This is the chili that snagged me a man. Kind of. When I started dating my husband, I was so excited to have someone to cook for. Once, I told him I was making chili. He sounded disappointed. He said he didn't like chili. He loves this chili and it's not even a pity, "Dinner was good" sort of thing. He says we could have it every week and he'd be fine with it. We joke it's the chili that made him know I was the one. I started perfecting this recipe shortly after I graduated from college. I don't like chunks of onion or peppers so this recipe doesn't have any of that. You certainly can add that in if you're into that kind of thing. 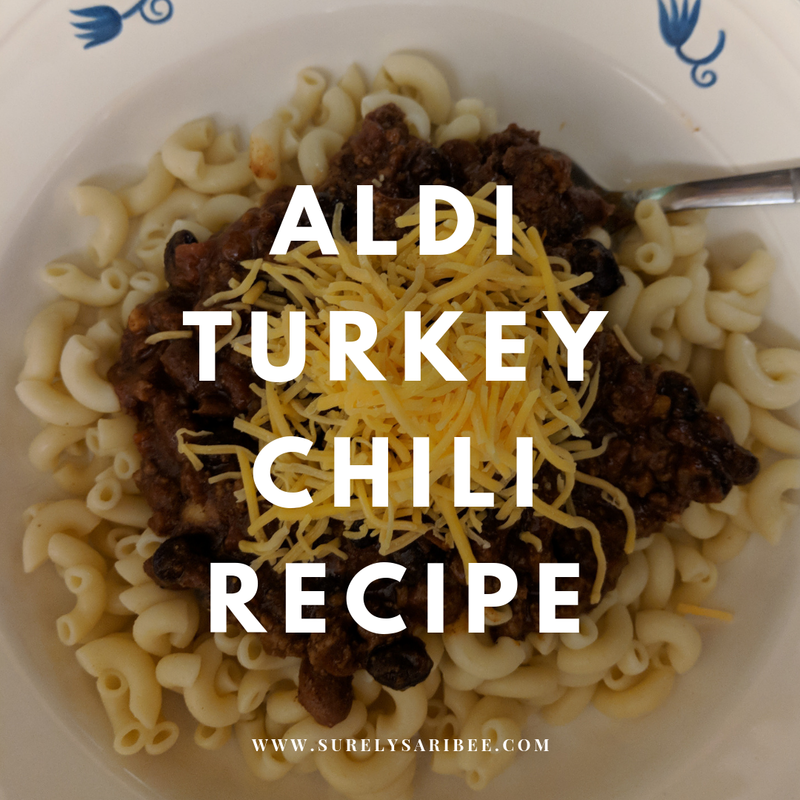 This is a great basic chili recipe that isn't too spicy. 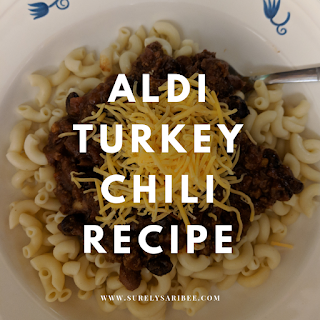 My husband likes it best served over pasta with cheese but we've also had it over rice, tater tots, hot dogs, French fries...the possibilities are endless. One note: I am a recipe skimper. When I see a recipe online and I see an ingredient I don't have, I skip it. Don't do that here with the spice that pulls it all together: Chipotle pepper. This isn't spicy. It adds a nice smokiness to it. I get mine from Penzey's and it's incredible! This is the only ingredient you can't typically get at Aldi. In a large pot, brown the ground meat. Add all other ingredients and stir, cooking on low until heated all the way through. To freeze, brown the ground meat and place in a gallon freezer bag. Add all other ingredients to the bag, seal and freeze. To prepare, defrost the bag by placing it in the refrigerator 48 hours in advance. Pour the contents into a large pot and heat on low until heated all the way through. Serve over pasta, rice, hot dogs, tater tots, etc.